Mr. Bennett has a wide and extensive experience in the legal profession. 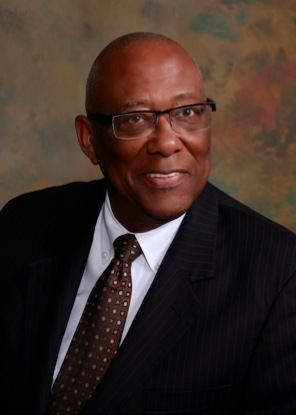 After receiving his Doctorate of Jurisprudence from the University of Texas Law School in 1977 and admission to the State Bar of Texas the same year, Mr. Bennett became an Assistant County Attorney for Travis County. In 1982, He founded the firm JOEL B. BENNETT, P.C. as his private practice. He has represented Austin Community College, Capitol Metro, the City of Austin, the State Board of Insurance, and the Texas Department of Insurance in litigation. As a former real estate title researcher and examiner, Mr. Bennett also has a strong background in real estate law in addition to his diverse practice in civil and criminal litigation. During his term as Assistant County Attorney, Mr. Bennett saw firsthand how many individuals destroyed their lives by the use and sale of drugs. Ultimately, this experience led him to seek an appointment as a Travis County Drug Court Judge in 1993. He served the Travis County community as the first Judge of the Travis County Drug Court from 1993 until 2012. He has also used his expertise to help other jurisdictions create and effectively operate drug courts. He strongly believes in the positive role a drug court can play in building better communities. Ms. Parks’; extensive legal practice includes representation of governmental agencies as well as private sector clients. Upon receiving her Doctorate of Jurisprudence from the University of Houston Law Center and admission to the State Bar of Texas in 1989, Ms. Parks served as an Assistant Attorney General for the State of Texas in the Highway Division in Austin, Texas. In 1993, she launched her private practice with a focus on plaintiff’s issues relating to family law, personal injury, and employment discrimination law. She has also represented the Texas Department of Insurance, Capital Metro, the City of Austin, and the University of Texas in insurance claims defense litigation. Ms. Parks joined of counsel to JOEL B. BENNETT, P.C. in 2000. Ms. Parks' family law experience includes litigating divorce, custody, and support proceedings, advocating for the best interest of children involved, as well as mediating and negotiating settlements. In her experience handling personal injury cases, Ms. Parks has evaluated injury claims, mediated and negotiated with medical providers to reduce medical liens, and has negotiated injury and property damage settlements. As an Assistant Attorney General, she represented the Texas Department of Transportation in Tort Claims Act and worker's compensation litigation in venues statewide.